Africa Born was created from our partners’ deep love and affinity for Africa’s wild spaces – and a firm hope that our guests will come to share our affection and respect for this precious continent. Both Sam and Paolo are third generation Kenyans and we work with a proud and dedicated Kenyan team, to ensure that all our safaris are ‘homegrown’ and utterly unique. 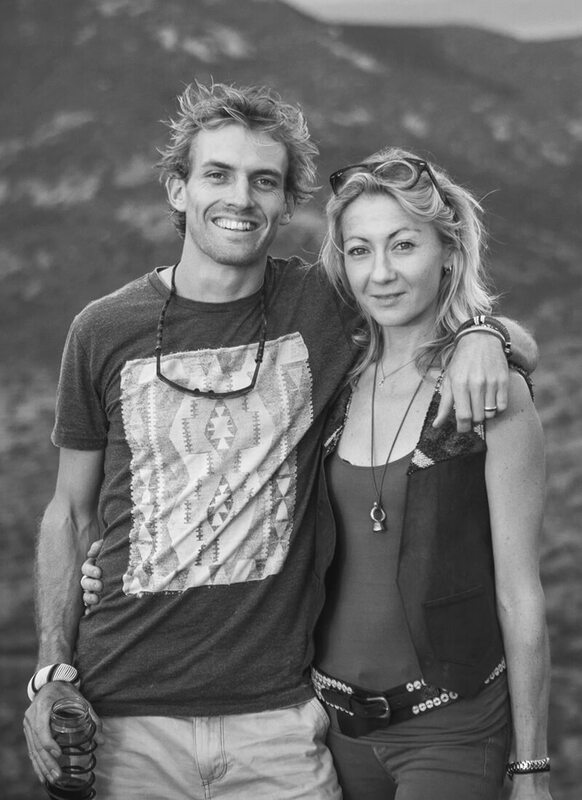 Sam and his wife, Antonia. To the Maasai people who knew him as a boy, Sam Stogdale was always destined for a prominent position in the safari trade. The son of renowned Kenyan hotelier David Stogdale, Sam spent much of his formative years with the young tribesmen who were training to become guides under his father’s tutelage. His godfather is the legendary Maasai warrior, John ole Parmasau, who went on to become one of East Africa’s most celebrated guides. Since launching his own company, Africa Born, in 2011, Sam and his business partner, Paolo Parazzi, have established a reputation as two of the continent’s finest ‘beach and bush’ outfitters. Sam’s specialties are the game-ruled plains of southern Kenya – and particularly the sweeping Mara-Serengeti ecosystem, considered by many to be the single-most important wildlife sanctuary on Earth. It was in the Mara that Sam cut his teeth as a young guide: walking in the conservancies that line its borders, studying the Maasais’ legendary bush skills. By the age of 15, he was a certified guide and, at 17, traveled to South Africa to complete the definitive FGASA Professional Safari Guide course. Along the way, he picked up advanced qualifications in trail guiding, birding and game tracking – making him, at the time, one of Kenya’s most qualified young guides. In 2014, Sam was invited to become one of the partners of Ker & Downey, the oldest and one of the most respected safari outfitters in the world. In 2016, he was made a Director of the company – a huge achievement in one of the most competitive sectors of the global travel industry. In 2017 Sam qualified as a pilot and Africa Born has now acquired a plane, as he and Paolo are both keen aviators and take to the skies to explore more of the Wilderness at any opportunity. While flying, guiding and exploring, one of Sam’s other passions is photography. His images have featured in a number of well-known publications such as The Daily Telegraph & The Sydney Herald. As well as been shortlisted for a number of competitions. Another integral part of Sams life is wildlife conservation. He is fortunate enough to be immersed in this on safari. As a result, wildlife and local communities are at the forefront of his mind. Sam is usually accompanied on safari by his wife Antonia, widely regarded as one of the finest chefs in the safari business.  Trained at Leith’s Cookery School in London, Antonia has helped many of Kenya’s leading camps and lodges – as well as several K&D partners – to train their chefs and design their menus. She now runs her own cookery school at their home in the bush in the foothills of Mount Kenya. Her role guarantees Sam’s guests enjoy the very finest fare to be had in the bush anywhere! Another wonderful addition to the family arrived in 2018, in the form of their baby girl, Aliya. Named after a beautiful, wild and remote place in Northern Kenya, Aliya, at four months old, sampled the nomadic safari life of her parents, and took to it like a pro! For a young guide, Paolo Parazzi has a surprising number of strings to his bow. A trained accountant, seasoned diver and boat skipper, this third-generation Kenyan is equally at home running safaris in remote and rugged bushland as he is leading long-distance kitesurfing expeditions, tagging green turtles, or free diving with black tip reef sharks. For visitors to East Africa who truly hanker for a balanced blend of ‘beach and bush’, there are few more qualified – or intrepid – hosts. In 2014, Paolo and his business partner, Sam Stogdale, were signed up as partners of Africa’s oldest existing safari company, Ker & Downey. It was a testament to the levels of respect and trust that the pair have earned through their own company, Africa Born, that they went straight from junior guides to partners – bypassing what is usually a long and arduous process of qualification and mentoring. Paolo grew up in Watamu on Kenya’s north coast, the son of an Ethiopia-born Italian businessman and a Sri Lanka-born English environmentalist. His mother’s strong conservation ethic was imbued in him from an early age, as he accompanied her to dozens of villages promoting sustainable fishing practices and raising awareness of endangered marine life. To date, the Parazzis’ Local Ocean Trust is credited with the release of over 10,000 sea turtles – many of them rescued from local fishermen’s nets. In 2011, Paolo was one of the founders of the pioneering East African guide training school, EcoTraining East Africa, which has put more than 250 local guides through professional courses and delivered conservation training at most of Kenya’s leading safari properties. His unmatched knowledge of Africa’s east coast has established him as one of the region’s leading ocean-based guides, regularly sought out by professional water sportsmen, marine biologists and game fishermen. An extended period as a marine guide on Lamu Island also gave Paolo an unrivalled expertise in the ‘extreme’ kitesurfing and free diving potential of Kenya’s far north – as well as a prodigious ability to find dolphins keen to swim with his guests! 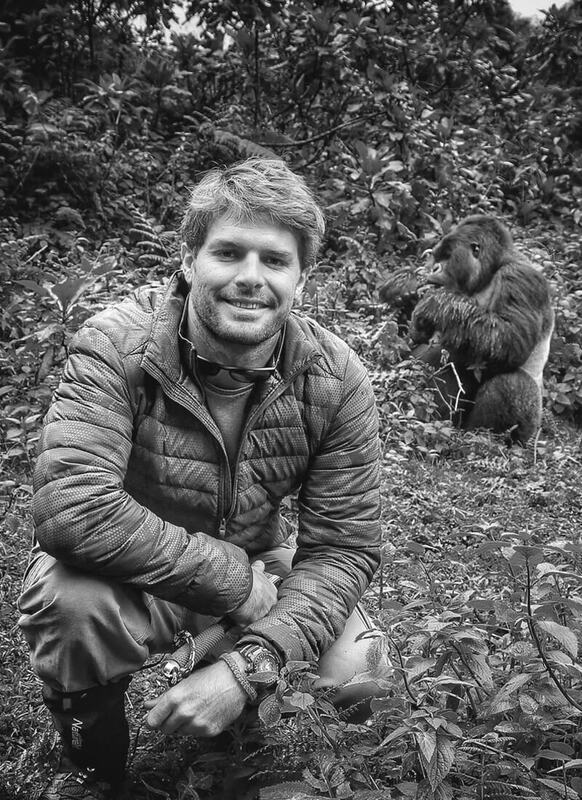 As a leader of a new generation of globally connected Kenyan guides, Paolo has spread his wings to lead exclusive private safaris across Tanzania, Madagascar, Mozambique and Zimbabwe. In the process, he has developed close ties with a number of celebrated conservation charities and their field staff, as well as strong friendships within several traditional Maasai communities – connections that add a compelling extra dimension to his safaris. DECIDED WHERE YOU WANT TO GO YET?